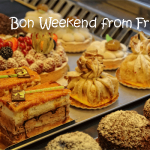 The Good Life France Magazine Spring 2017 Newsletter from France! 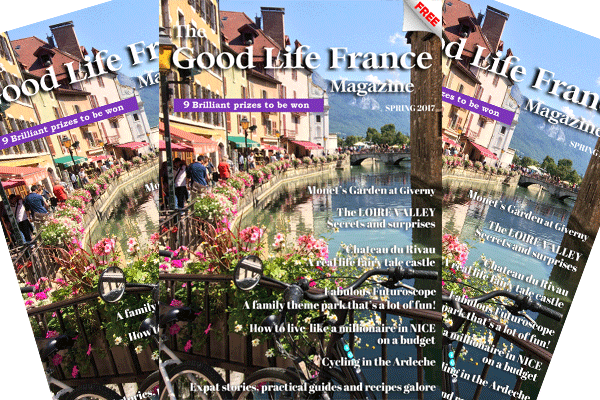 This week’s newsletter is all about the Spring issue of The Good Life France Magazine – which has just been published! It’s bursting with brilliant features and fabulous photos and guaranteed to inspire you to dream of visiting France. Come with me to Monet’s Garden in Giverny where I met with the head gardener for a special tour and insights into the artist’s approach to gardening. 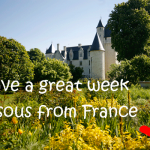 Discover a real life fairy-tale chateau in the Loire Valley. The Chateau du Rivau is stunningly pretty and its gardens are quirky and gorgeous, filled with magical sculptures and glorious flowers. Take a look at the dramatic beauty of the Ardeche, perfect for cyclists, nature lovers and foodies, its a wild side of France that will capture your imagination. Find out how to live like a Millionaire in Nice – on a budget. You don’t have to break the bank to take a break in the sunny city! Annecy and the local ski resorts aren’t just for skiing – they’re the perfect spring, summer and autumn destination too with loads to see and do and some of the most beautiful scenery in the world. Go island hopping on the petit Ile d’Aix where there are no cars, just fresh air and a chill out atmosphere! Float and peddle in Bordeaux – it’s a great way to see the vineyards, towns and chateaux. 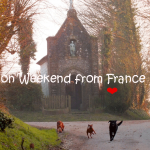 Check out the most popular photos posted on The Good Life France Facebook page – they’re gorgeous. There are 9 fantastic giveaways – enter them all! 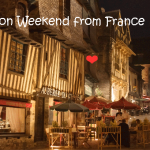 Everything you want to know about France and more – it’s the next best thing to being there. If you like the magazine, please share it, it’s completely free and always will be. ps Thank you so much for everyone who voted for me in the French Travel Media Awards for Best Social Media Feature – I won! And I’m doing cartwheels! pps Find me on Facebook, Twitter and Instagram – it’s great to chat to you there! Newsletters that shouldn’t be newsletters from France! 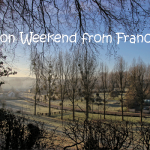 Newsletter from the middle-of-nowhere France!